1. 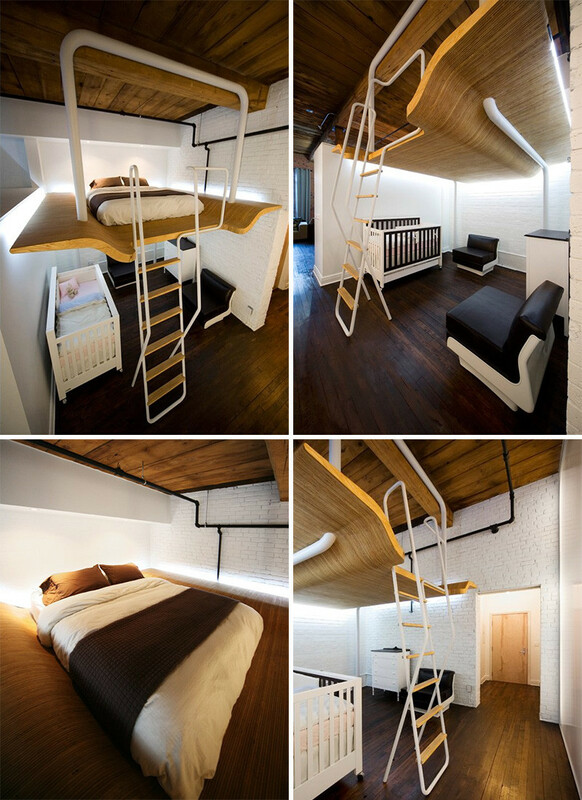 This loft that was designed as a solution for a growing family. L. McComber Architects provided a design solution for the owners of this 700 square foot loft in Montreal, Canada. They needed to create a room for a newborn baby, so a suspended platform bed made of curved Douglas Fir plywood and tubular steel was created. 2. 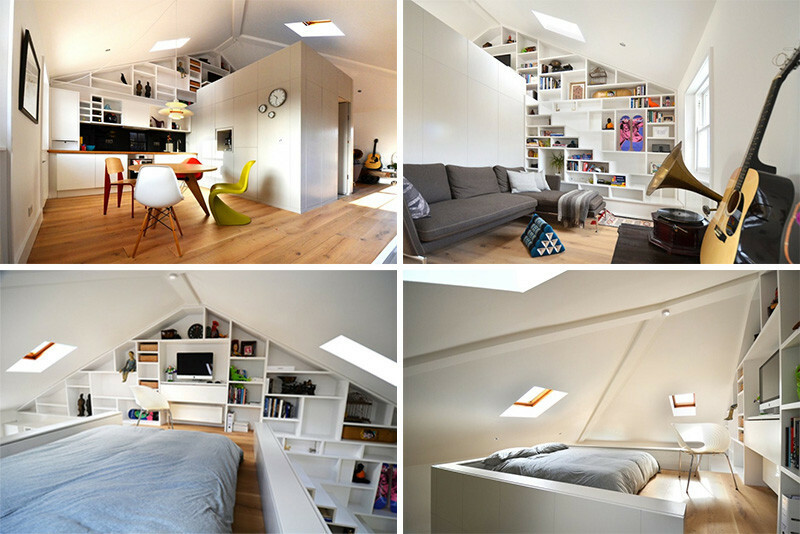 The loft in this tiny 139 square foot apartment in Wroclaw, Poland. 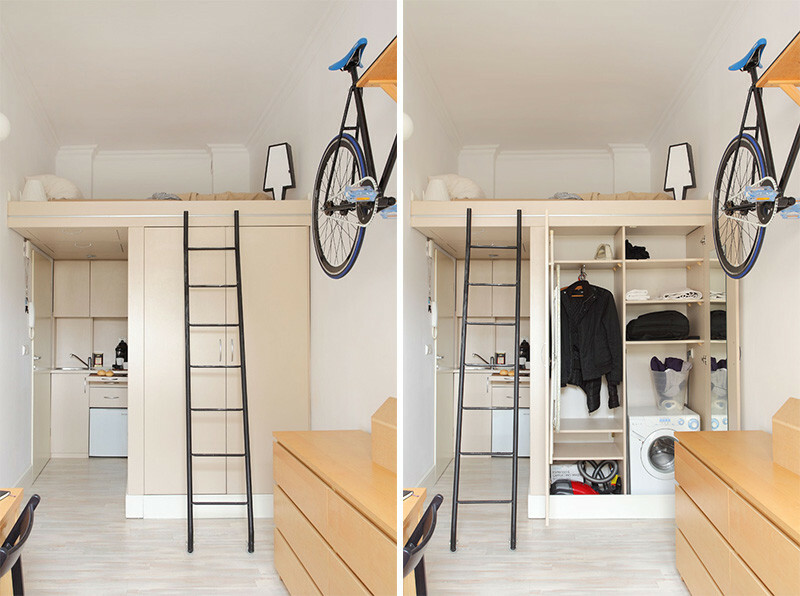 Szymon Hanczar designed a tiny 13 square metre (approx. 139 sq feet) apartment in Wroclaw, Poland, that he lived in for several years. It includes a small kitchenette, a bathroom, a bedroom on the mezzanine, and storage for the essentials. 3. 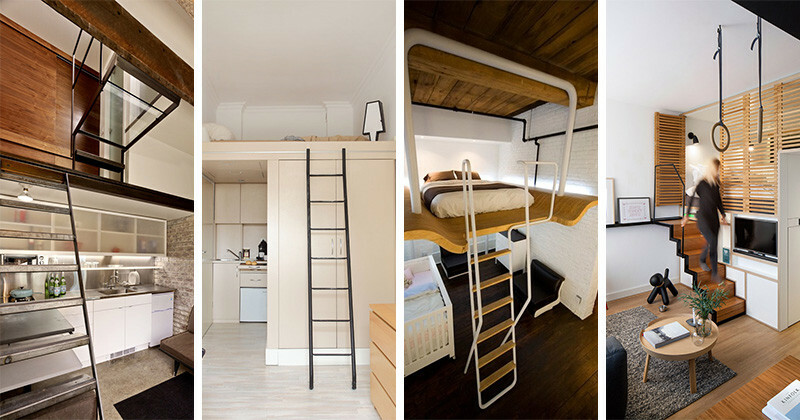 The bed in this loft has been raised to create separate zones in the apartment. 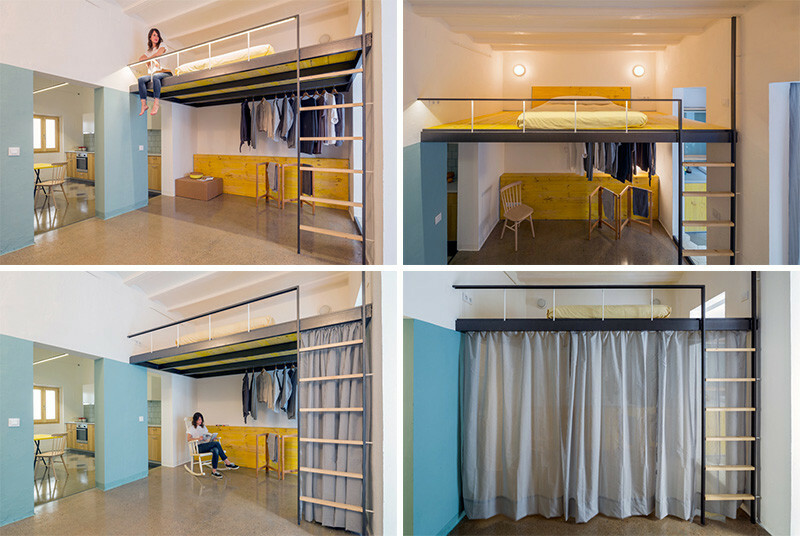 When nookarchitects were designing this loft apartment in Barcelona, Spain, they utilized the additional ceiling height to create a lofted bed, allowing the lower floor to be used as a study, living room or a dressing room. 4. This 500 square foot New York loft was all about creating functional spaces. Jordan Parnass Architecture were tasked with designing this small studio space for their client that wasn’t anxious to move. The designers were able define and organize the studio, creating functional spaces for cooking, cleaning, dressing and sleeping. 5. This old laundry boiler room was transformed into a guest apartment. Instead of having this little unused space in San Francisco removed, designer Christi Azevedo was asked to transform it into a full service guest apartment. It might not look like it from the outside, but by adding height to the original brick building, it allows enough space to include a kitchen, living area, bathroom and a bedroom. 6. 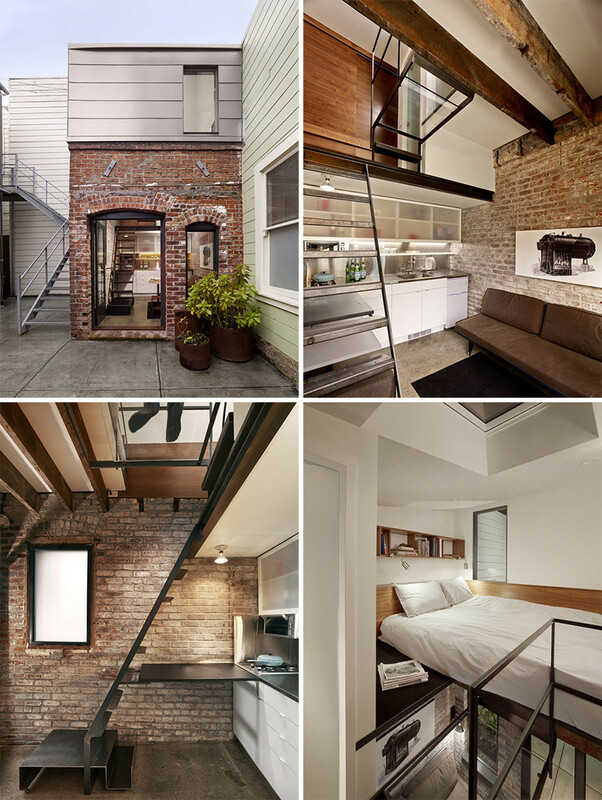 This space-saving loft was designed for a small apartment in San Francisco. Designers at ICOSA, together with Peter Suen, have designed the Domino Loft, a custom designed, multi-functional loft, for a small apartment in San Francisco, California. 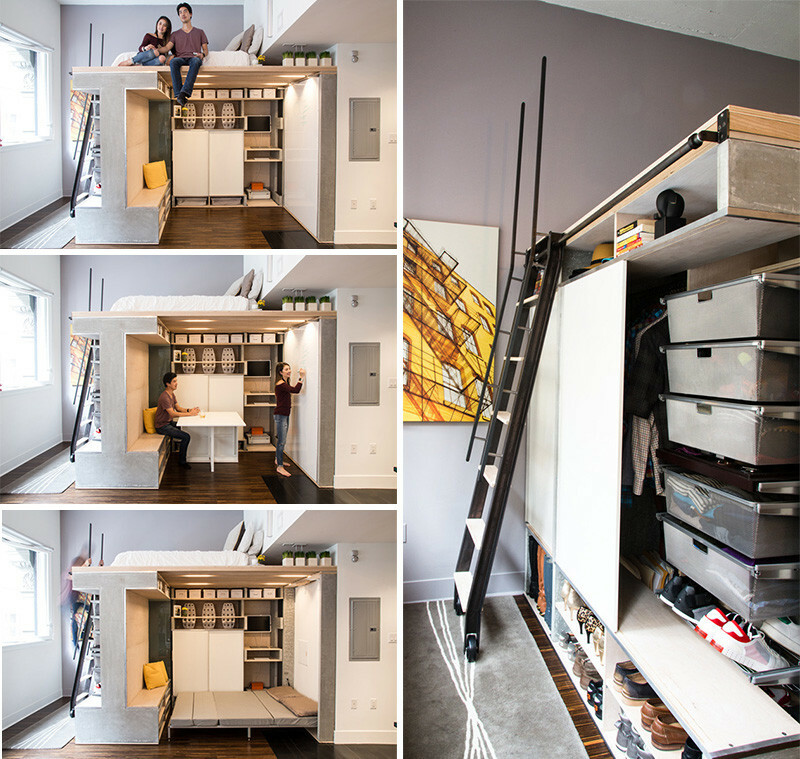 It has a work space with dry-erase wall, a small desk/dining table, a fold-out murphy bed, and an upper bed accessed via a ladder. 7. 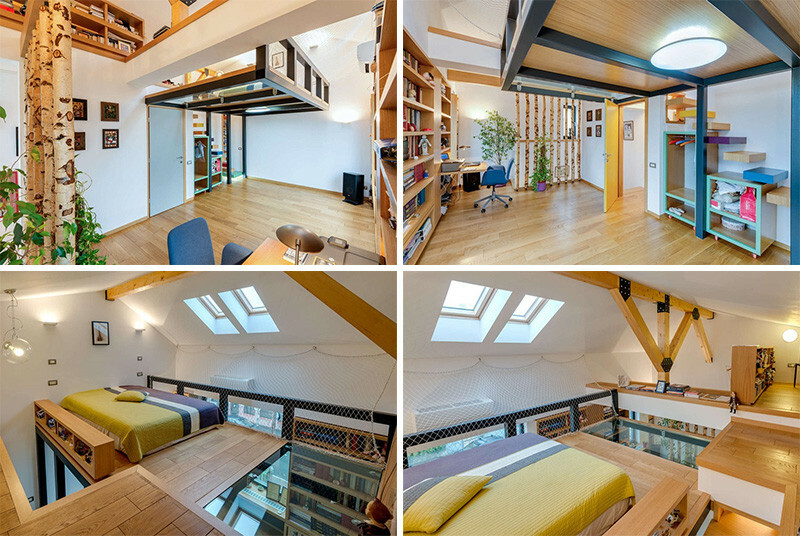 This loft in London hides the stairs as part of the bookshelves. Craft Design have transformed what was once an open-plan office space into a loft apartment, that has a bed and desk space located on top of a central box, that houses the bathroom and storage. 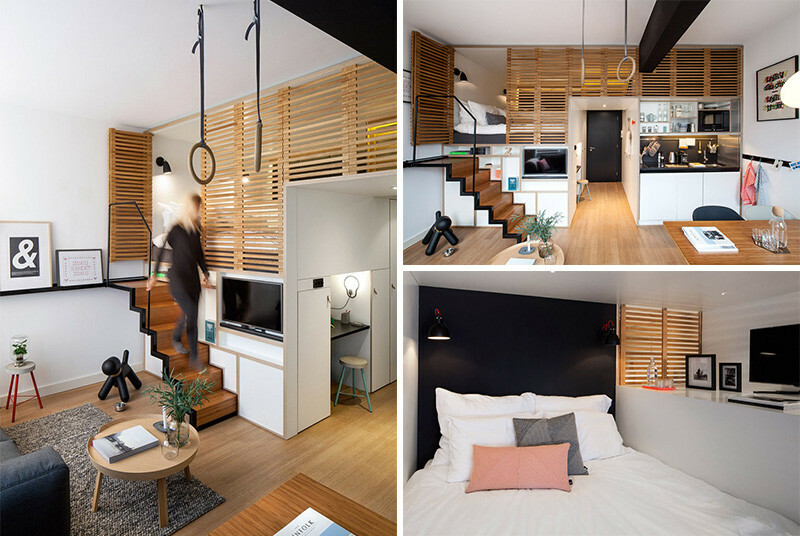 concrete have designed a compact loft hotel room with many hidden features, for hotel brand, Zoku. 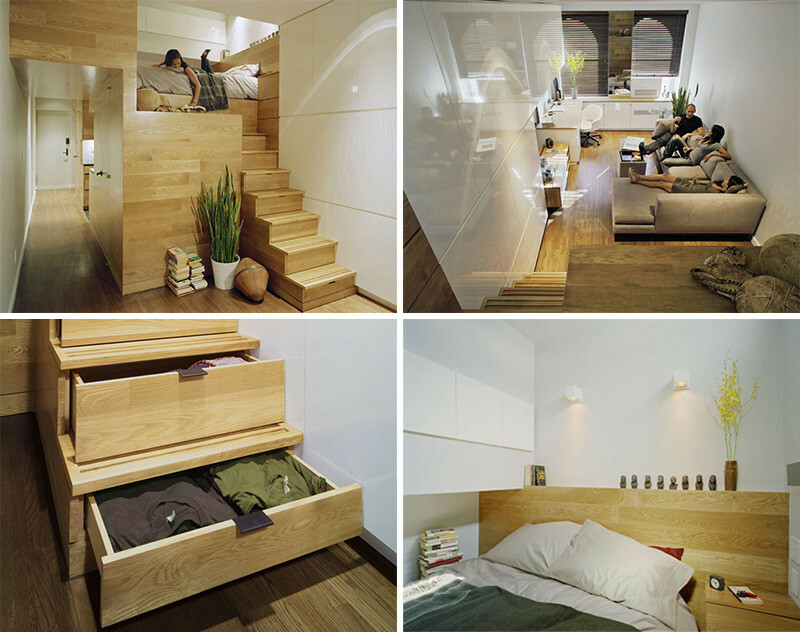 The space includes a hidden bedroom, that can be closed off from the rest of the room, with the wooden slat doors. Design firm In situ, have created a lofted bedroom for their clients, that has a glass floor section allowing you to see the living space below.